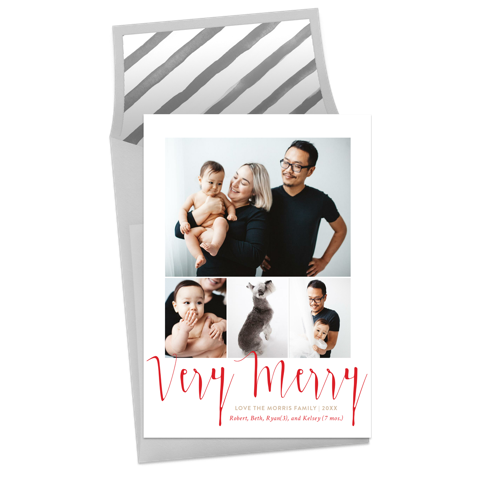 Say no to the stress of the post office this year, and send your season’s greetings with Greenvelope, an online design store that is changing the way families everywhere send holiday invitations, greeting cards and notes. Each design can be customized and tailored to fit your family’s personality. Once you’re finished, send your holiday greetings with one click, instantly delivering your season’s greetings. Perfect for procrastinators! HOLIDAY BONUS! Set up an online photo gallery that recaps the meaningful moments that made up your year to be included with your greeting at no additional cost. Here are just a few of our favorite card designs. Can’t settle on just one holiday photo? Then the Very Merry Grid design template is perfect for you. Feature up to 4 pictures with this photo collage design. 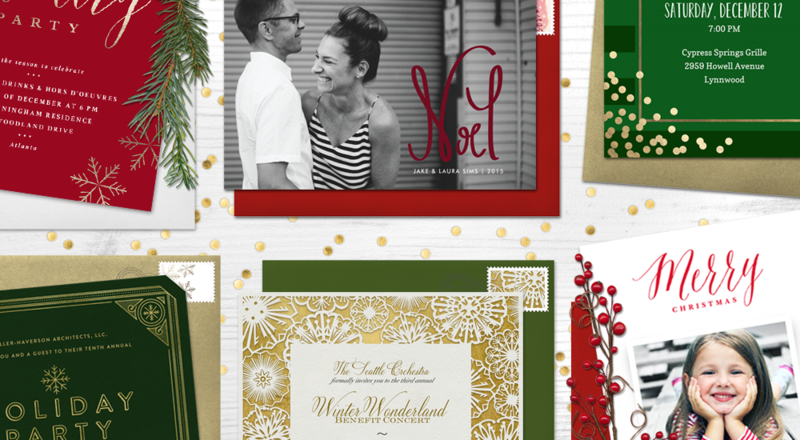 If you’re hosting a holiday party, Greenvelope has many design templates for you to choose from. 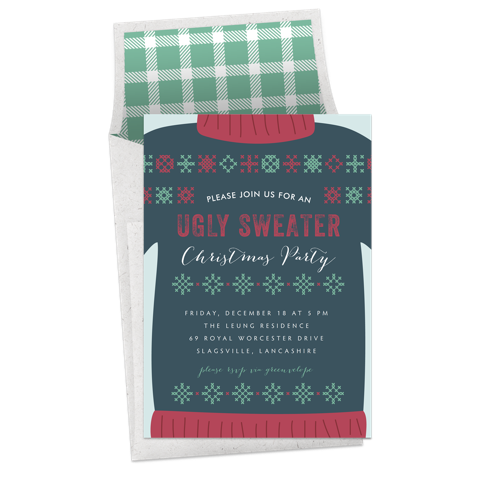 Our personal favorite is this kitschy Ugly Sweater Party Invitation. From Thanksgiving to New Year’s, there are many special days to celebrate this holiday season. 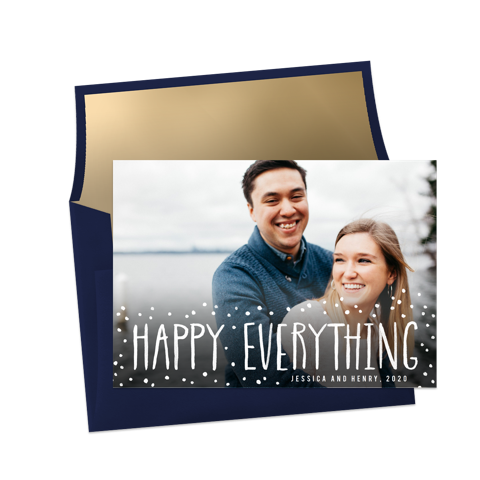 This Happy Everything design is perfect for families that celebrate Christmas, Hanukkah or another festive day. Start designing your seasonal cards here, or browse all holiday designs here.